If the successful revival of Volvo cars under Li Shufu is any precedent, the latest transaction may be beneficial to AB Volvo trucks as well. About a decade after Chinese billionaire Li Shufu bought the Volvo Car nameplate from Ford Motor Co. and revived the brand, he’s turning his attention to the separately owned Swedish company’s heavy vehicles in a bid to bulk up outside China. Li’s Zhejiang Geely Holding Group Co. said Wednesday it plans to buy a stake in AB Volvo from activist investor Cevian Capital AB, making it the truckmaker’s largest shareholder. The deal is valued at about 3.25 billion euros ($3.9 billion), people familiar with the matter told Bloomberg, verifying a figure reported earlier by Swedish newspaper Dagens Nyheter. Reuters reported the value of the deal at $3.3 billion. The stake, representing 8.2 percent of Volvo’s capital and 15.6 percent of the votes, would mark Hangzhou-based Geely’s first foray into the heavy-truck segment. In addition to its namesake heavy-vehicle brand, AB Volvo's marques include Mack, Renault Trucks and UD. "Given our experience with Volvo Car Group, we recognise and value the proud Scandinavian history and culture, leading market positions, breakthrough technologies and environmental capabilities of AB Volvo," Geely Chairman Li Shufu said in a statement on Wednesday. There are "no plans to merge" the two Volvos, a Geely spokesman told Reuters. 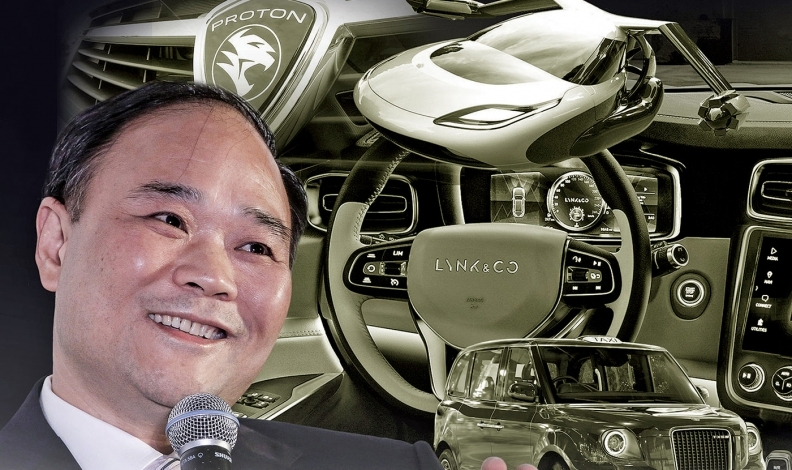 The Chinese automaker, which is in a race to develop technologies such as autonomous driving, electrification and connectivity, this year bought a 49.9 percent stake in Malaysia’s Proton Holdings as well as 51 percent of British sports-car maker Lotus Cars. Geely plans to buy Cevian’s 88.5 million Class A Volvo shares and 78.8 million Class B shares, the two companies said Wednesday. The Chinese company made an unsolicited approach at the beginning of autumn, seeking to buy out Cevian’s stake, following which the activist investor hired Nomura Holdings Inc. as an adviser, a person familiar with the matter said, adding AB Volvo wasn’t involved in the process. Joakim Kenndal, a spokesman at Gothenburg-based Volvo, said the stake sale “came as a surprise,” declining to comment further because the deal is a matter for the shareholders. Geely spokesmen declined to comment on the transaction beyond the company statement. Geely plans to seek board representation, the person said. Cevian has one seat on the Volvo board, held by Eckhard Cordes, a partner at the investment firm and a former executive at Daimler AG. Hakan Samuelsson, the CEO of Geely’s Volvo Car Group, also sits on the truckmaker’s board. Nomura and Barclays Plc agreed to buy Cevian’s stake in Volvo and sell it to Geely once the purchase has regulatory approval, the Chinese carmaker said. Cevian has long wanted AB Volvo, Europe’s second-biggest maker of commercial vehicles, to take steps such as divesting its construction-equipment business to streamline. While no large restructuring along those lines emerged, Volvo has disposed of its information-technology business and cut jobs, and in September it set a margin goal for the first time since 2012. Cevian will use proceeds from the stake sale for new investments or to raise current holdings, co-founder Christer Gardell said in a phone interview, declining to give a figure or disclose possible purchases. The “timing is good” for the disposal after the investment firm helped transform the truckmaker “from a mediocre company into a very good company,” he said. If the successful revival of Volvo cars under Li is any precedent to go by, the transaction may be beneficial to Volvo trucks as well. Li started out making refrigerator parts and later turned a bankrupt state-owned manufacturer into China’s biggest privately owned carmaker. He cemented his reputation as a savvy dealmaker after reviving Volvo Car in the face of widespread industry skepticism following the purchase from Ford in 2010. He gave Volvo Car’s engineering team the resources to invest in new models. At the same time, he lowered the Swedish manufacturer’s high costs by jointly developing vehicle underpinnings with Geely, while building a plant in lower-cost China for exports to markets including the U.S.
Swedish Enterprise Minister Mikael Damberg said he welcomed the new investor in Volvo, which is the country’s largest company by revenue. “The new owner Geely has proven to be a serious investor linked to the development of Volvo Cars, made major investments in Sweden, grown the number of employees and has so far been a success story,” he said to news agency TT. The Chinese company said it plans to use the new tie-up with AB Volvo to enhance the truckmaker’s electrification, autonomous driving and connectivity, technologies that it’s been pursuing at the car operation. Since Cevian announced in September 2006 that it held 5 percent voting control in Volvo, the manufacturer’s Class B stock returned 181 percent, including dividends, through Friday. Sweden’s benchmark OMX Stockholm 30 Index returned 135 percent in the period. Gardell estimated that Cevian’s holding over 11 years and the stock’s sale have earned the investment company 20 billion kronor ($2.4 billion). While Geely will be the biggest shareholder, it will rank second to investment firm Industrivarden AB in voting rights because Industrivarden owns more of the Class A shares that have greater voting power than the Class B stock.